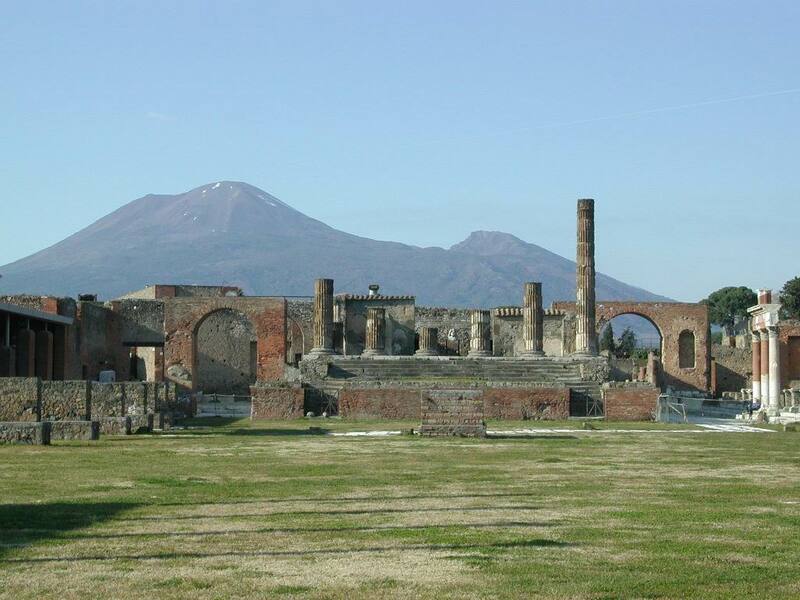 Pompeii was founded in the second half of the VIIth century B.C. by the local population of the Oskens with the purpose of developping sea trade between the Greeks and the natives. Pompeii had been influenced by Greek culture ever since the most archaic epoch even if, by looking at the stratigraphic researches carried out in these last years, it appears that Pompeii, at the time of its foundation and its first development, was much more conditioned, politically, by the Etruscans than by the Greeks. An overview of the city in the last decades of its life before the 79 A.D. eruption of Vesuvius, would offer a picture of roads, inns, taverns, brothels in full activity, walls covered with election slogans in favour of this or that candidate, graffiti with names, love messages everywhere. In the last few years every possible effort has been concentrated on restoration but excavations have also been going on the city walls, bringing to light the walls from “Porta di Sarno” to “Porta di Nola” and beyond towards “Porta Vesuvius”. The districts that still have to be excavated in the north-eastern area may hold some more unexpected surprises, but we can say that the idea of daily life in Pompeii, thanks also to stratigraphic research, has already been quite clearly defined.